Konami’s multiplayer Metal Gear spinoff Metal Gear Survive won’t make its previously scheduled 2017 release window. The game is now coming to PlayStation 4, Windows PC and Xbox One in early 2018, Konami representatives confirmed today at E3. According to Konami, Metal Gear Survive has been “pushed back a few months” to give the development team more time to polish the game. Metal Gear Survive was announced in 2016. The survival action game will feature a “dense single-player mode” in which players embark on a mysterious adventure, Konami says. 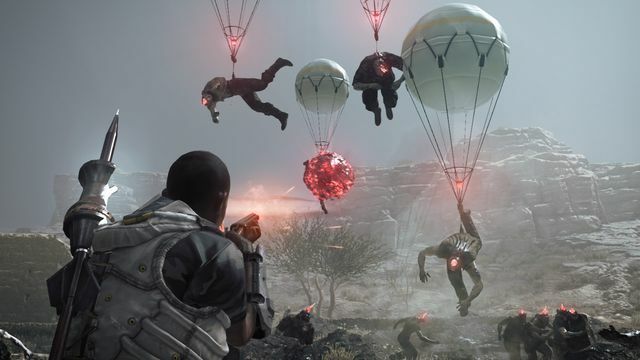 Konami also promises a cooperative multiplayer mode, in which players use stealth, weapons and gear to fend off deadly, zombie-like creatures in an alternate Metal Gear universe. Metal Gear Survive takes place in an alternate timeline set after Metal Gear Solid 5: Ground Zeroes, the prequel to Metal Gear Solid 5: The Phantom Pain. It’s the first new game in the franchise since Metal Gear creator Hideo Kojima’s departure from Konami.